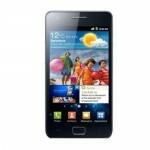 In a press release earlier this week, Samsung revealed phenomenal sales for their latest handset, the Galaxy S II. Sales have doubled from 5 million to 10 million units in just 8 weeks. That’s 625,000 units per week. And the cinch? These figures are excluding the US. No wonder Apple’s afraid of them. I have a Galaxy S II, imported from Clove in the UK. It’s an amazing phone, and I highly recommend it. In fact, I’d even go so far as to say it’s the best phone out there. From the stats above, you’d think everything’s rosy between Samsung and Android. But sadly that’s not the case. Microsoft has reached a patent licencing agreement with Samsung, regarding their Android phones. This means from now on, Samsung will pay Microsoft a royalty for every Android device they sell. That’s some pretty significant cash. According to estimates, Microsoft is now making about $444 million annually from Android patent agreements. Talk about making money with Android! Even though this isn’t Samsung’s official statement, it’s disappointing to see a rift appearing with Google. Samsung has made some excellent Android phones, so hopefully this won’t have a negative impact on their continued development. And Microsoft’s part in this? I know from a business sense, their Android patent agreements are genius. But it still seems wrong to me. Like, I can’t imagine Google standing up there in court and demanding HP, Dell, or some other PC manufacturer pay them for every copy of Windows 7 sold “because it infringes our patents”. It would be ludicrous. I don’t mind Microsoft innovating with Windows Phone, but I do mind when they use patents aggressively like this, in a way that will only slow innovation. On Wednesday Amazon announced a whole new range of Kindles. Most notably: the Kindle Fire, a 7″ multitouch tablet running a modified version of Android 2.3. This is huge news for the tablet market. Amazon actually has content to sell. Their device targets a different market to the iPad, hence is the first viable competitor. But you won’t see any sign of Google here. Amazon has designed their own user interface, and completely removed all the Google apps. Instead, you can buy apps through the Amazon Appstore. The same one that you’ve been using on your Android phone for months now. This coordinated strategy from Amazon has been a long time coming, but is finally starting to shake things up. The Amazon Appstore is now going to be a whole lot more important to developers. Once these new Kindles start selling, there are going to be a whole lot of Android tablets out there without the Google Market installed. It will be very interesting to see how Google responds to this. Hopefully it will encourage constructive competition, at the very least. Amazon also announced a new Kindle Touch, with e-ink screen. I’m really interested in this one. I’ve had a Kindle for over a year now, and like the e-ink screen. It feels the same as reading a book, while other tablets feel like… a computer screen. On a lighter note, I was hanging out for the promised launch of Minecraft Pocket Edition this Thursday. The app has been in demo mode on the Sony Experia Play for some time now. According to the official word, touchscreen controls have now been added, so the app will be playable on many more Android devices. The new app was scheduled to be released on Thursday.